These hotels are just a few hours of flight away and provide an excellent setting for your family getaway this festive season! 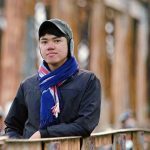 As a tropical region, Southeast Asia isn’t exactly everyone’s cup of tea during this time of the year, when you just want to be somewhere cold and snowy (as in Europe or parts of the US). But for those who do choose to stay in its familiar comfort, take it easy, there are plenty of places that can let you dine, sleep and bond with your families in all sorts of ways while basking in the festive energy this season has so much of. Take these hotels for example. Set in the town of Ubud, Bali’s cultural centre, The Chedi Club Tanah Gajah stands for pretty much everything the province is known for – traditional Balinese enhancements, locals’ warmth, and paddy fields that go on for days. Guests, young and old, will find this enriching setting a remarkable place to learn more about one another and the culture that surrounds them. Let the views and tranquillity it provides sink in, before witnessing Bali’s famous Kecak dance at the resort’s amphitheatre, getting pampered at The Spa by the rice fields and admiring the beauty of swans at the lotus pond. It’s a family bonding unlike any other! The Chedi Club Tanah Gajah is making sure every single member is also aligned with the festive holiday spirit through their season’s offerings. Feast on special Christmas and New Year dishes at The Restaurant, get pampered with a 60-minute Balinese massage, get cosy in your airport transfers and spoil yourselves with a variety of Club benefits through Christmas in the Tropics and New Year's Indulgence. To make your stay even more worth it, why not try avail of the Seasonal Offer: Third Night on Us or Last Minute Stay offers as well? Find out more about The Chedi Club Tanah Gajah on TripZillaSTAYS. 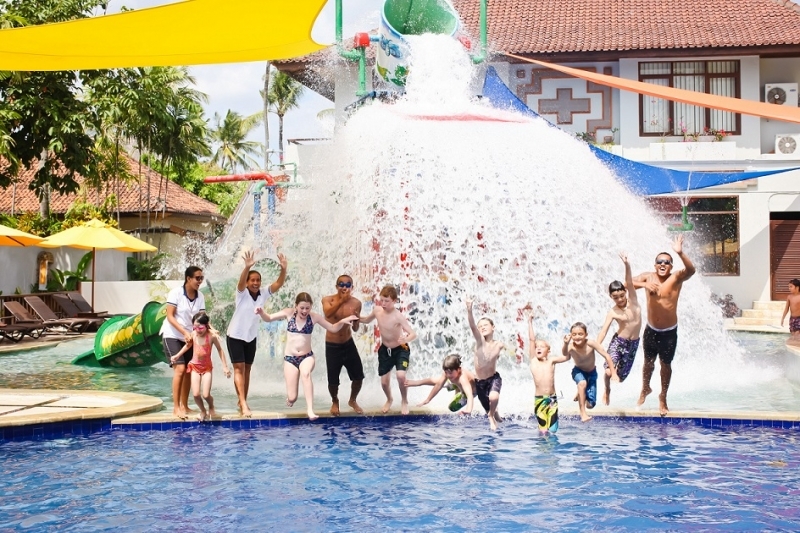 Bali Dynasty Resort is every beach-loving family’s paradise in South Kuta, Bali. Perhaps the one most important thing about it is the great deal of convenience it gives for its guests, away from the hectic city yet only a walking distance to shopping hubs, restaurants, and art and entertainment centres. But the real excitement takes place inside the resort itself, where you can find a sum of six restaurants, five bars, three swimming pools, a kid’s club and a teen’s club, and a Trapeze school. For bigger families, you won’t have to worry about being separated as the resort provides rooms that can take in as many as five people. All the more reason to bond, I’d say! And best of all, there are daily activity programmes for kids, teens, and adults that will turn a mere retreat into an action-packed getaway for the entire family. On top of its family-specific packages, the resort introduces Festive Season 2017, which opens different opportunities for family members to bond over great buffet food on Christmas Eve and Christmas Day at either H20 Restaurant or Sen5es Restaurant while being entertained by Christmas carols, quartet, and a magic show. The fun continues on New Year’s when adults and kids can take part in their respective parties at Kertagosa Ballroom and Nusa Penida with free-flowing drinks and live shows, or simply devour on an international buffet at Sen5es Restaurant. 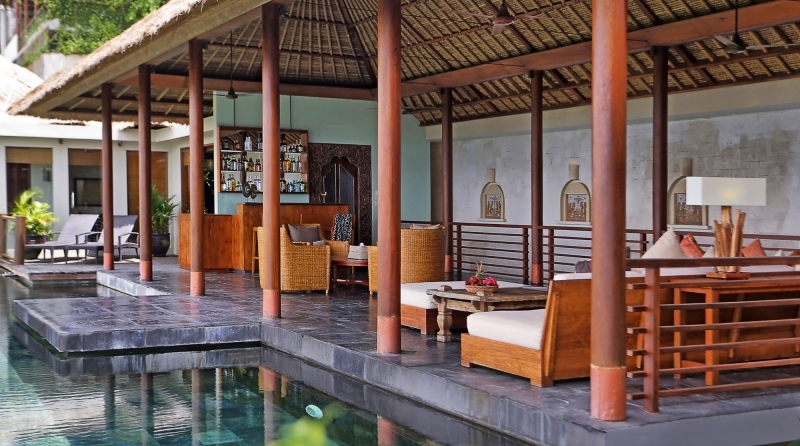 Find out more about Bali Dynasty Resort on TripZillaSTAYS. Who needs snow when you can have water to play with all day long? Prime Plaza Suites Sanur - Bali features completely furnished apartments that offer a true home-away-from-home experience for the family. Its award-winning Camp Splash! Fun Park, featuring a 30-metre water slide and gaming equipment, is a favourite among kids (and the kids at heart) and it’s not totally hard to understand why. Its child-friendly suites also come with their own kitchen as well as dining and living rooms that will make your family feel the convenience of being in your own home. If the water park still isn’t enough for you, The Sands Beach Club welcomes you with open arms! A testament to how truly fitting this hotel is to your family this season, Prime Plaza Suites Sanur - Bali was previously awarded the second Best Hotel for Families in Indonesia and fifth Best Hotel for Families in Asia by the 2017 TripAdvisor Traveler’s Choice Awards, as well as placed in sixth spot in the Top 10 Best Family Resorts in Bali by Holiday with Kids Australia! How ‘bout that? As its treat, Prime Plaza Suites Sanur - Bali is giving you HOT DEALS including up to 20% discount its regular rates, a 10% off on spa services and another 10% on food and beverage (also applicable to alcoholic drinks), as well TWO free nights when you book a 7-night stay! Find out more about Prime Plaza Suites Sanur - Bali on TripZillaSTAYS. Elegantly perched on the hills of Jimbaran, The Longhouse is a departure from typical Bali hotels and villas. 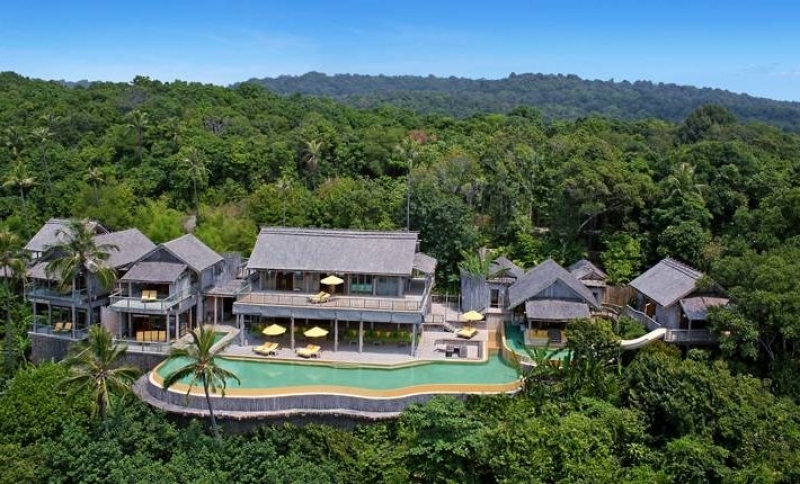 Newly renovated and reopened in December 2017, The Longhouse has a new boutique hotel-private villa concept, offering the in timacy of a luxury villa with five-star hotel services. Architecture buffs would love the meticulously curated interiors by its owners with the help of the renowned architect, Popo Danes. Guests could also marvel at the breathtaking views over the treetops of Jimbaran from any of these six unique bedroom suites – The Bali Suite, The Lombok Suite, The Sumatra Suite, The Sumba Suite, or East and West Java Suites. There are also many amenities beyond that of a luxury villa, including a h ome theatre jam-packed with the latest blockbusters and a hilltop bale that doubles up as a tranquil morning yoga spot. What makes The Longhouse an ideal hotel for family getaways is the option to reserve it in its entirety! Fun for the family can come in all sorts of ways, and at Hue Hotels and Resorts Puerto Princesa , it’s all about appreciating and getting wowed by the artistic touches of the hotel’s interiors. The kind of creativity we expected to end at the hotel’s lobby and common areas managed to continue all through the accommodations, which are simply a delight to look at. With all the attention it has been getting online and through word of mouth, it’s hard to believe that the hotel is just a newbie in the industry, opening just this past June! There are even more reasons to celebrate now that the hotel is also welcoming its first Christmas! And with it comes the Christmas Buffet At Matiz Restaurant, wherein families can tighten their bond by enjoying an exquisitely prepared Christmas Eve dinner and Christmas Day lunch spreads for less than ₱899! After these hearty buffets, families can relish the rest of their stay in Palawan’s capital by availing of the Puerto Princesa Escapade and Honda Bay Underground River Escapade packages inclusive of tours, accommodations and access to the hotel’s state-of-the-art facilities. Find out more about Hue Hotels and Resorts Puerto Princesa on TripZillaSTAYS. You can’t speak of festivities in the Philippines without mentioning the party-filled and vibrant Boracay! Matching that same energy and sparkle the island oozes so much of is Red Coconut Beach Hotel . The hotel seems to break a stereotype people have of hotels (or any other commercial establishments) that it’s always about the ‘outside’. Yes, the hotel is like a local version of Las Vegas with all its lights and colours, but it’s what goes on inside that families can truly be proud of staying in the hotel. The effort that the staff makes towards the guests, just from addressing them with their names all the time, is truly impressive. It’s this type of service that you and your family can absolutely relate to and it’s what will make your stay here extra special. During this season of sharing, you can get up to 38% off from stay rates when you book at least 14 days in advance with the hotel! You can also benefit from its Peak Season Special Rate that entitles you to a 3D2N stay along with a free round-trip airport transfer so you won’t need to worry about transport from the airport to the hotel and vice versa on your Boracay getaway! 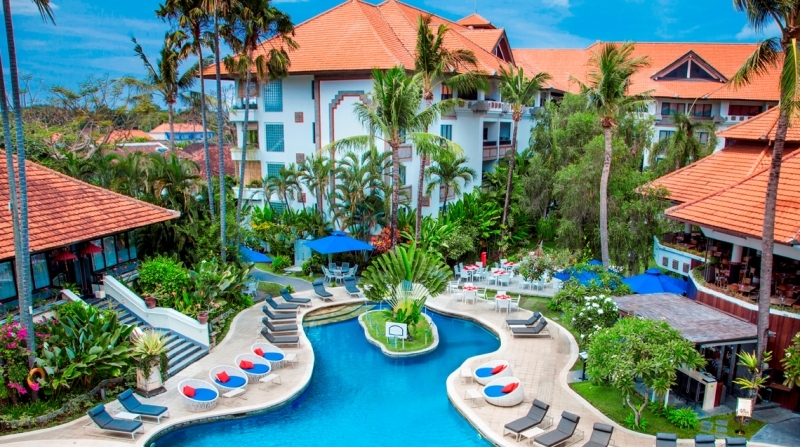 Find out more about Red Coconut Beach Hotel on TripZillaSTAYS. On its own, the City of Pines is considered as one of the more family-friendly destinations in the Philippines, with activities like horseback riding and strawberry picking on top the typical itinerary. Perhaps even a better way to spend a vacation here is by staying at The Manor at Camp John Hay . The chilly weather generously veiling this iconic mountain resort provides an excellent atmosphere for families to simply cosy up and really bond without doing much. If you can stand up and brave the cold, have your kids let loose at the Kiddie Korner, or join them marvel at the cascading waterfalls outside before settling down at Le Chef to taste Chef Billy King’s local and international dishes that’ll surely warm up everyone’s appetite in an instant. Just because you’re not going to Europe, it doesn’t mean you can no longer experience its stylishness through a well-chosen hotel. 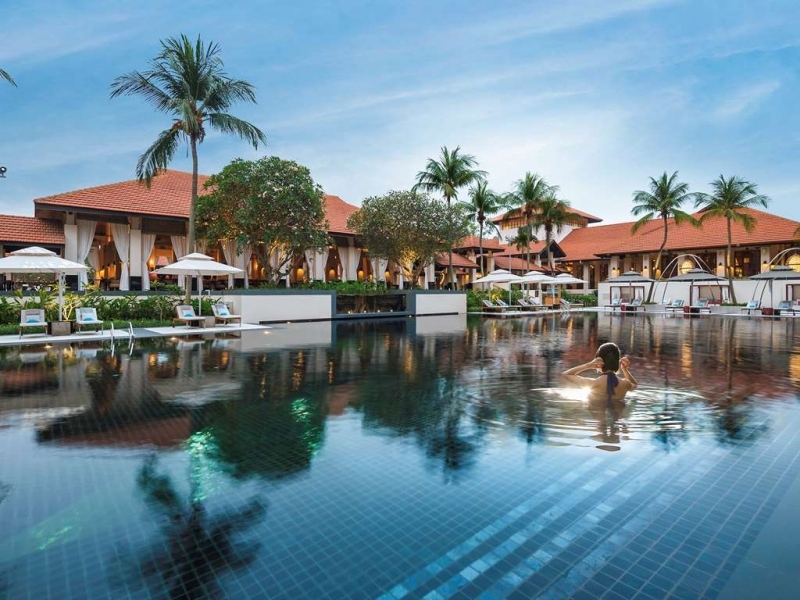 Sofitel Singapore Sentosa Resort & Spa , with its strong French inspiration touched with Singapore’s colonial heritage and sophistication, can bring you a French family holiday right in one Singapore’s neighbourhood. Like other Sofitel properties, the cliff-top Sofitel Sentosa boasts of magnificent gardens, large outdoor pools, and an elegant daily buffet experience that family members can enjoy together. This month, Sofitel Singapore Sentosa Resort & Spa is giving your family more chances to celebrate as one with its Christmas Dinner by ilLido at the Cliff and the Mega Countdown Buffet, and they’re something you wouldn’t want to miss! 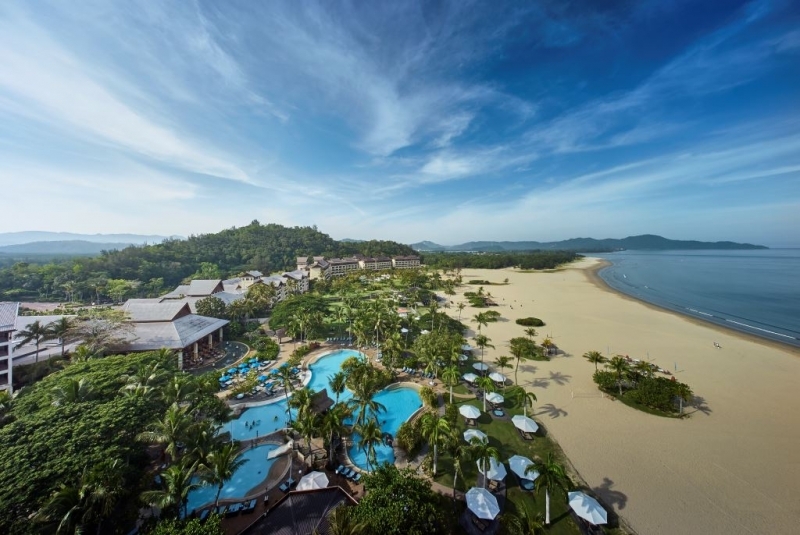 Find out more about Sofitel Singapore Sentosa Resort & Spa on TripZillaSTAYS. The whole length of one of Singapore’s most famous business and leisure districts is a joy to stroll around on, where every side you turn your head to, there’ll be something to adore regardless of your age. Strategically located here is Holiday Inn Singapore Orchard City Centre , another sought-after family-friendly hotel in all of the city. What makes it extremely perfect for a family on a vacation is that, on top of being close to some of the city’s major entertainment and dining spots, it also has its own on-site restaurant, a kid’s pool and even babysitting and child services in case you and your spouse decide to get something for your family staycation festivities at the last minute. Grab Holiday Inn's Advance Purchase promo and enjoy special discounts and perks such as complimentary breakfast for one or two adults per room and use of handy smartphone with free Internet connectivity around Singapore and unlimited international calls to 10 countries. Find out more about Holiday Inn Singapore Orchard City Centre on TripZillaSTAYS. Truly, ‘festive’ is the name of the game, and Resorts World Sentosa Festive Hotel isn’t one to disappoint. Its name aside, however, the hotel offers the kind of getaway any family will always find exhilarating, in every sense of the word, for the rest of their lives. 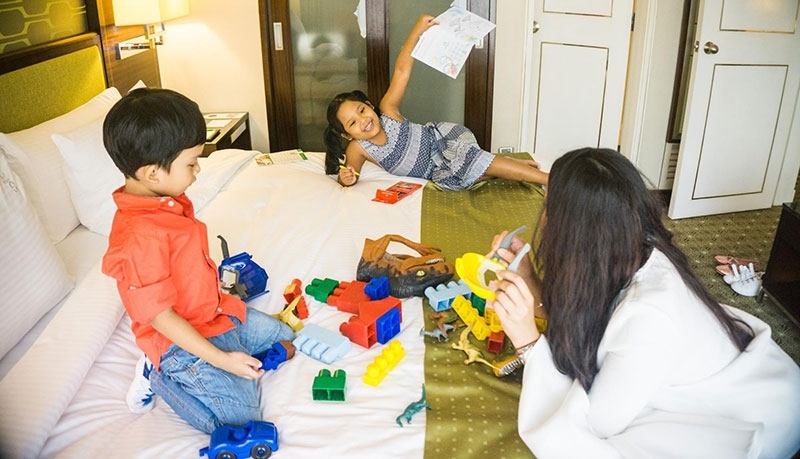 The five-star hotel, located within Singapore’s infamous integrated resort, provides both a family and child-friendly environment wherein guests can enjoy their stay in accommodations like the Deluxe Family King Room that have loft beds for children. Even swimming pools for both babies and kids can be found in the property. But most of all, it is just a few minutes away from Universal Studios, Revenge of the Mummy and even the world’s largest aquarium which are definite plus points for the family. Batu Ferringhi’s famous beaches are a sight to behold on their own. 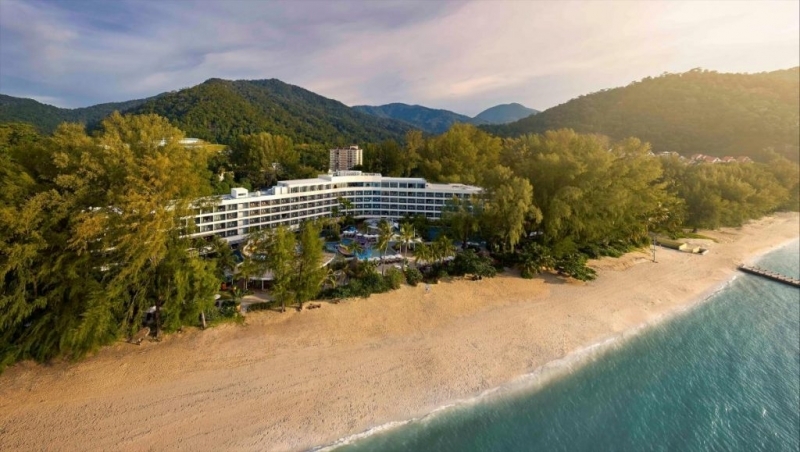 Add in the heavenly sanctuary that is the Hard Rock Hotel Penang into the view and you’ll be wishing you’re on this side of Malaysia in a heartbeat. Like the rest of Penang, the hotel is trendy and equipped with facilities that make sure not a single dull moment goes by during your family’s stay. Aside from free WiFi, each guest room also has a BOSE Sound System, 50-inch LED screen television and free HD Blockbuster movies to keep everyone entertained when not in lazing around the beach just outside the property. 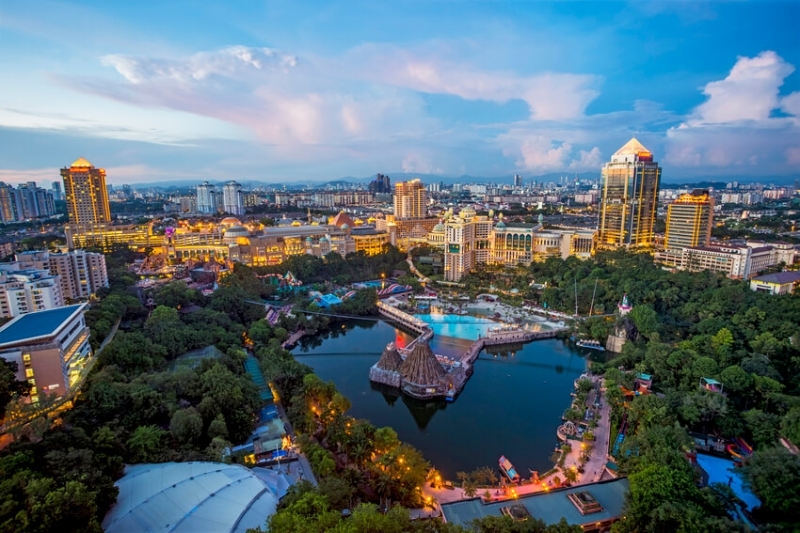 About 25 minutes away from the heart of Kuala Lumpur, the massive five-star Sunway Resort Hotel & Spa stands in all its glory. The integrated resort combines a mall, theme park and luxury accommodations in one place so you and your family won’t have to go looking any further to have a great time during the holidays. There are multiple options of rooms, suites and pool villas you can choose from (468 of them to be exact) that are all set to fit the family. Outdoors, there’s a free-form landscaped swimming pool with a man-made waterfall, the Sunway Lagoon theme park featuring a Water Park, Extreme Park, Wildlife Park, Amusement Park and Scream Park, as well as the Sunway Pyramid Mall with facilities like a skating rink, archery range, and arcade. There’s no way you will ever want to leave this place after stepping in! Lush rainforests, waterfalls, and diverse fauna define most of Thailand’s provinces, and on its eastern side, Soneva Kiri continues to uphold this all-impressive character of the country. What makes this 35-acre property stand out from the thousands of other hotels in Thailand, however, is its careful attention to giving itself a vibe genuinely suitable for the family. Its most valued facility, The Den, provides a tree-top bamboo playground that resembles a manta ray where kids can play traditional Thai instruments and make eco-friendly bracelets. To get the rest of the family involved, fathers and their sons can go on a fishing trip together while the girls visit the spa. There’s also a private movie viewing at Cinema Paradiso that comes with a dinner, a cooking class, and a private sunset cruise. Truly, Soneva Kiri is the epitome of a family-friendly getaway in Thailand! 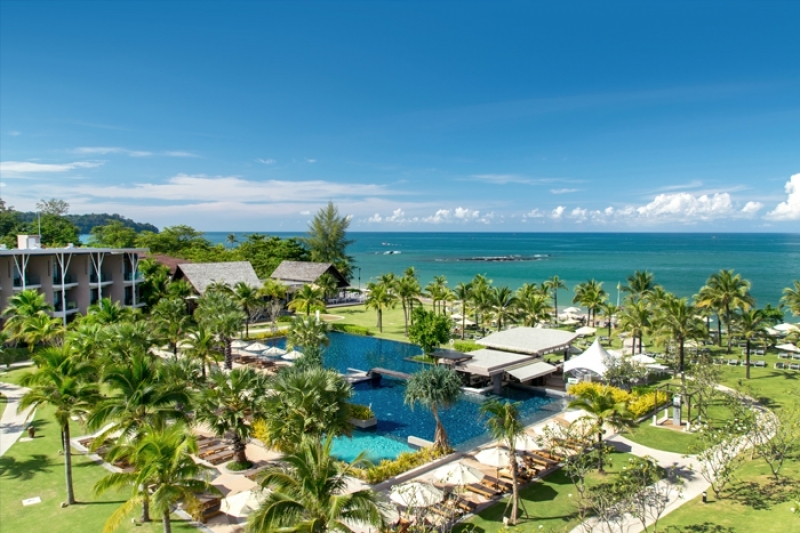 When it comes to nationwide and worldwide recognition, The Sands Khao Lak , located north of Phuket - is pretty much the one to beat. Looking at the entire property at a glance is like staring at a dream beachside family mansion complete with facilities for everyone and an ambience that will make any guest stay at all costs. An enormous garden surrounding a man-made lagoon provides lots of opportunities for the family to simply chill out while overlooking the stunning Nang Thong Beach. But for those who are looking forward to a fun-packed day ahead, there awaits a games room, kid’s club, outdoor playground, FIVE swimming pools, fitness centre and a dive centre. The hotel is also offering the Family Fun Package for a more hassle-free and worthwhile stay for the family. If you really want to impress your kids or even your parents right from the beginning, merely showing them the otherworldly cliff-towers of the Centara Grand Mirage in Pattaya is more or less the way to go. Linked by rope bridges, these structures are actually the accommodations building of the resort that, in themselves, are adequate to keep the family entertained whether inside or outside of their rooms (which all face the ocean, by the way). If viewing the nearby ocean won’t cut it for you, you can move right on to the resort’s main attraction, The Lost World, which features not one, not two, or even five water slides, but twelve of them! There’s also a total of seven restaurants that will bring out the adventurous foodies among the members with their wide selection of dishes. Indeed, a great getaway this season doesn’t need to be far, especially if you have your family with you. Whether it’s in the sandy beaches of Thailand, the magnetic entertainment hubs of Singapore or in a quiet mountain in the Philippines, a festive holiday, however your family defines it, is always within reach. Happy Holidays! For more ideas on where to spend your next getaway, check out TripZillaSTAYS !